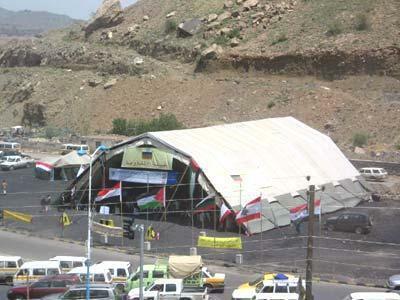 almotamar.net - The Tent for Arab Resistance is to resume its solidarity activities in the Yemeni capital Sana’a on Sunday. It is set up in support for steadfastness of the Palestinian resistance against the Israeli aggression Gaza Strip that entered its 22nd day running. The aggression has so far resulted in the killing of 1143 Palestinian people and the wounding of 5200 in addition to destruction of public installations and residential buildings. It is scheduled that a number of representatives for civil society organisations, political parties and social organisations and workers and trade unions in Yemen to take part in the inauguration ceremony of the Tent activities aimed to unify efforts of all foundations and organisations f the civil society for the support of the Palestinian resistance. Saleh , Chairman of Kenam Society for Palestine , would hold a number of symposiums and seminars to cast light on aspects of the Zionist hatred towards the people of Palestine and the importance of Arab unity at this time and also offering support for the resistance.